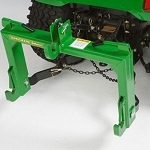 The drawbar is optional on all 3E Series Tractors and allows hooking up drawn implements. 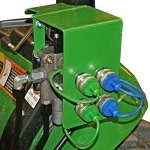 Drawbar kit installs quickly and easily by mating support and sinking 4 bolts into rear of tractor. 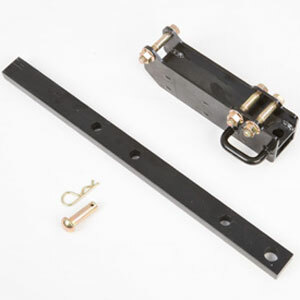 The draw bar kit was promptly shipped, easy to install, and works perfectly! Green Dealer was a great source for me,I would not hesitate to buy from them again. Delivery was quick! Installation was a breeze on my 3032E.